Skin problems are something I see on a regular basis in my functional medicine clinic and something I personally struggled with for years until I started studying functional medicine. With your skin being one of the first things people notice it can be extremely discouraging and damaging to your self-confidence if acne, eczema, or other skin problems are part of your first impression to others. As your body’s largest organ, your skin makes up 10 percent of your total body weight and plays an active role in detoxification. Your skin is a permeable barrier that not only releases toxins through the act of sweating, but also absorbs toxins through the products you use on a daily basis such as makeup, lotion, or sunscreen. What many people don’t realize, is just how toxic the majority of skincare products on the market actually are. Many products are made from synthetic ingredients and include very few familiar ingredients, let alone ones that you can pronounce. Toxin use on the skin also goes beyond just the impact it can have on your complexion. In fact, the increased toxin exposure in our modern society has been implicated in the rise of autoimmune conditions and other chronic health problems. Knowing this, I found it imperative to encourage my patients to make the switch, just like I did, to all-natural products to promote a radiate glow and long-term health. And when it comes to products, Alitura Naturals is the best on the market. Their mission statement is simple ‘’To provide customers with an exciting healthy experience from superior ingredients in a fine selection of high-quality skin care products’’ and was born out of founder Andy Hnilo’s own health journey. After finding himself in a hospital bed with several broken ribs, a fractured jaw, and multiple cuts and bruises, he was determined to come out on the other side stronger than before. As a model and actor, Andy’s appearance played a big role in his livelihood. By focusing on natural healing through a nutritional perspective, he was able to return to the runway after just 7 weeks. They even help you take your skincare to the next level with supplements, razors, and derma-rollers so you can really target as many areas of your skincare routine as possible. And unlike many natural products that leave you questioning their effectiveness, Alitura Naturals’ unique proprietary blend is one of the most effective product lines available while still being pure. After just a week of using their products there was a noticeable difference in my skin’s appearance – it was visibly brighter and smoother. As a functional medicine practitioner, what I put onto my body is just as important as what I put into it. 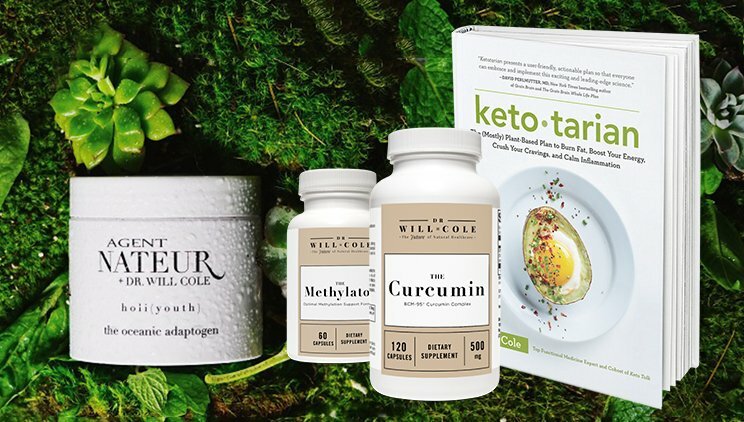 By centering my diet on real, whole-foods, switching to Alitura Naturals was the next logical step in my own wellness journey as they believe just as much as I do in the importance of earth-derived ingredients. For a limited time, use code DRCOLE at checkout for 20 percent off your order of Alitura Naturals.